Mitsuru Sasaki (Kazunari Ninomiya) is a formerly renowned chef who now capitalizes on his gift — remembering every flavor he’s ever tasted — to earn a living by recreating memorable dishes as last meals. But all his earnings go to paying off the debt from his failed restaurant. One day, he’s contacted by Qingming Yang, a titan in the culinary world in China. 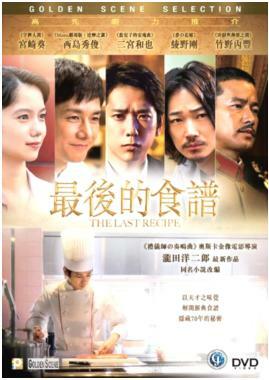 Mitsuru is flown to Beijing, where Yang asks him to search for a recipe that’s gone missing —the “Great Japanese Imperial Feast”, a 112-dish course meal commissioned by the Japanese military in the 1930’s as a historic feast to honor the Emperor on his visit to Manchukuo.